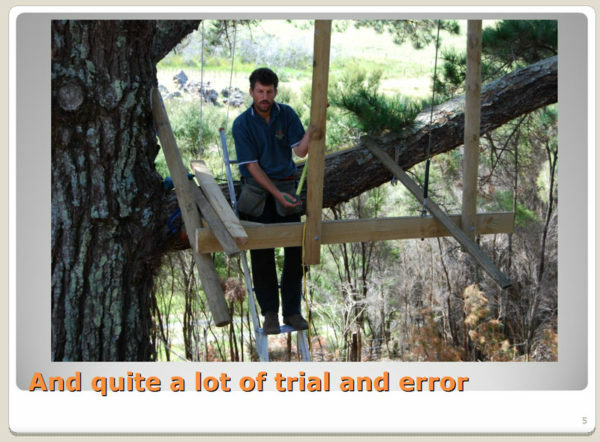 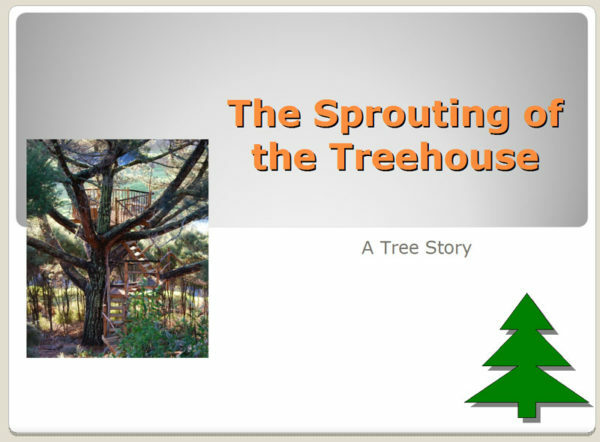 The story of my treehouse. 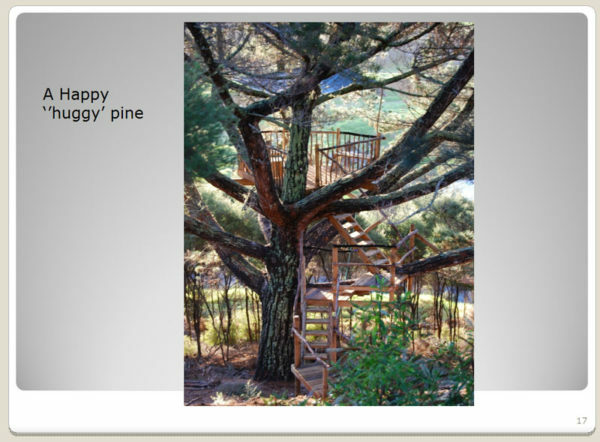 All adult children love a treehouse and I’m no exception; I’ve always wanted one and this tree, a radiata pine, seemed to hold out his limbs for such a hug. 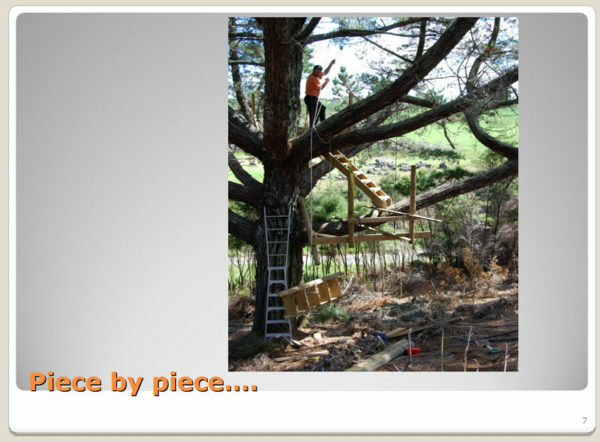 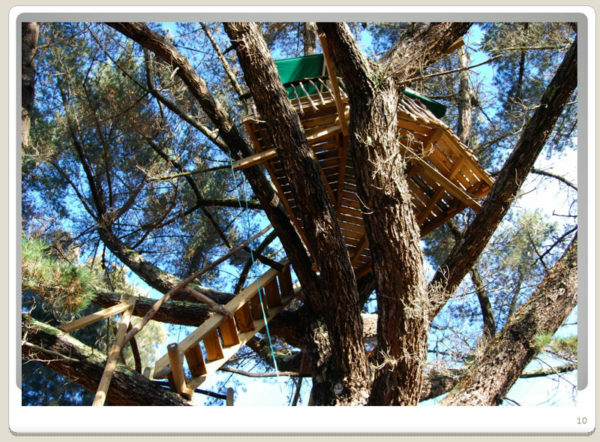 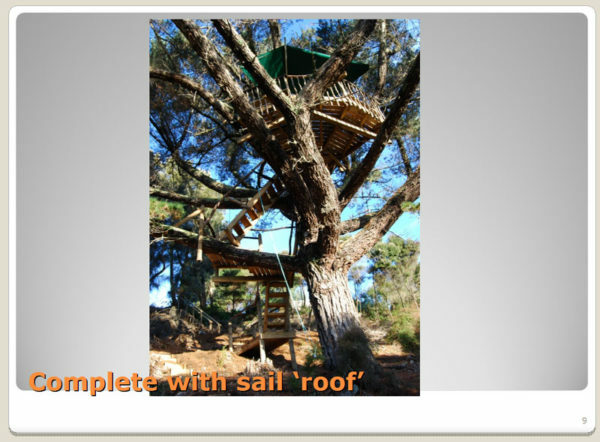 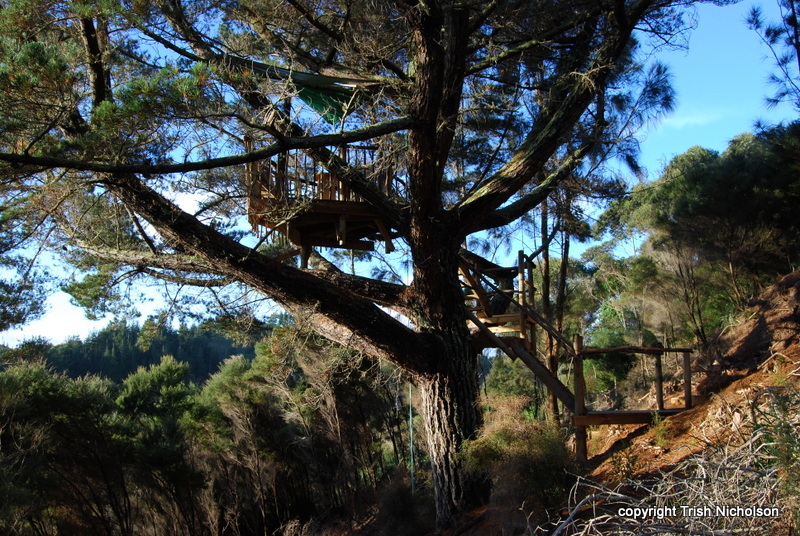 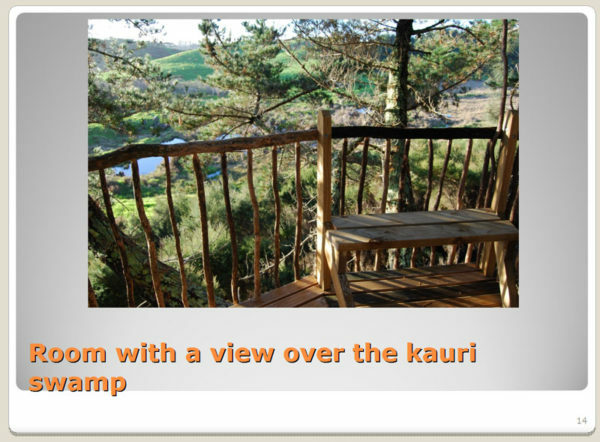 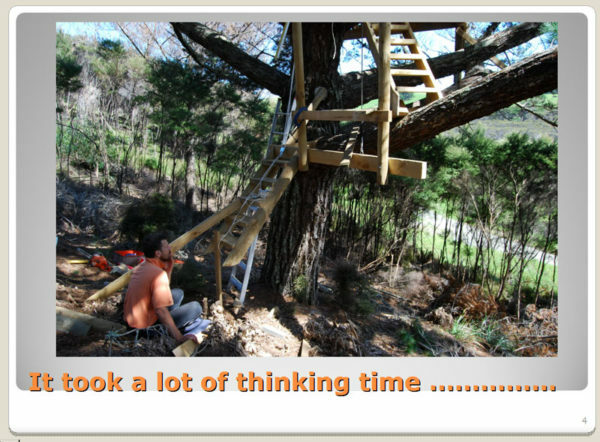 My friend Stephen designed and built the treehouse – I mostly fetched and carried. 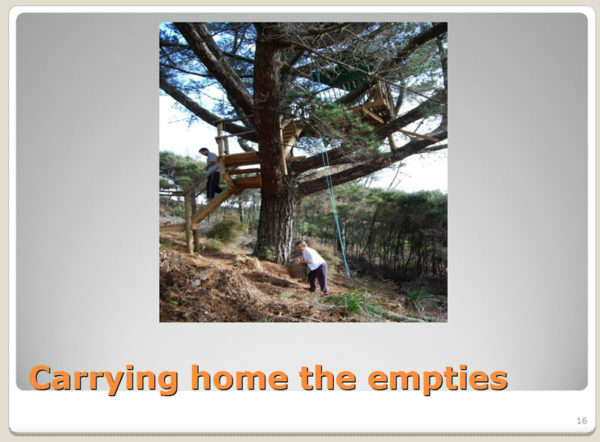 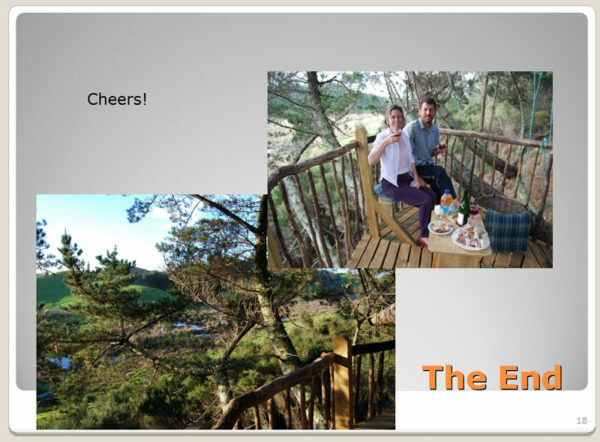 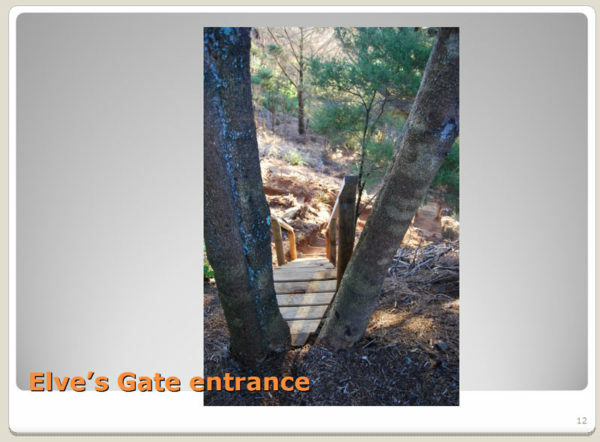 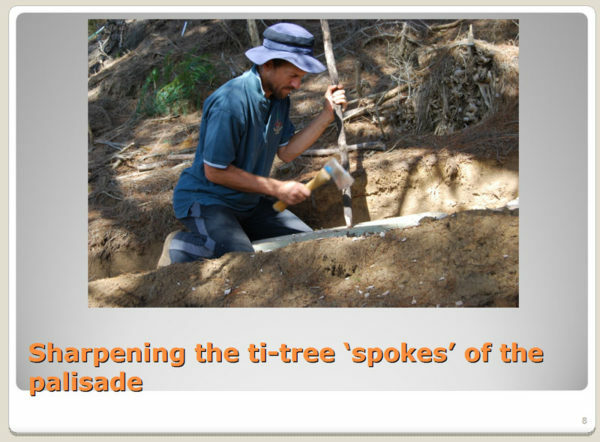 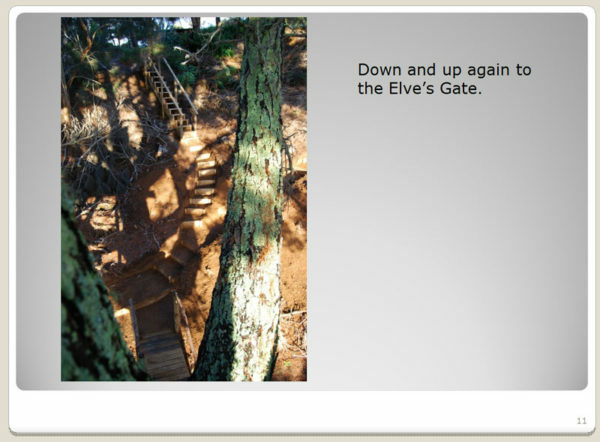 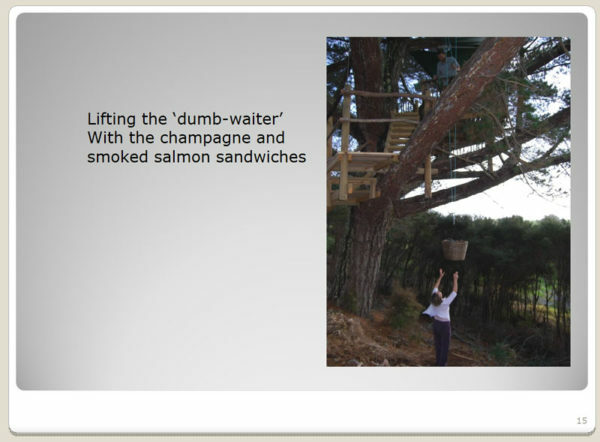 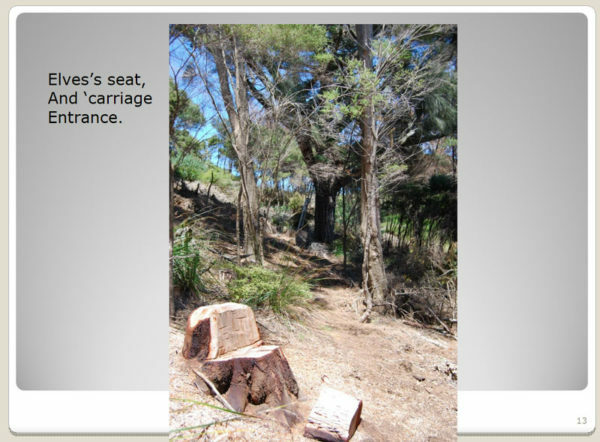 You will see him in the slide show below, and his wife, Helen – my writing buddy – who helped celebrate its completion. 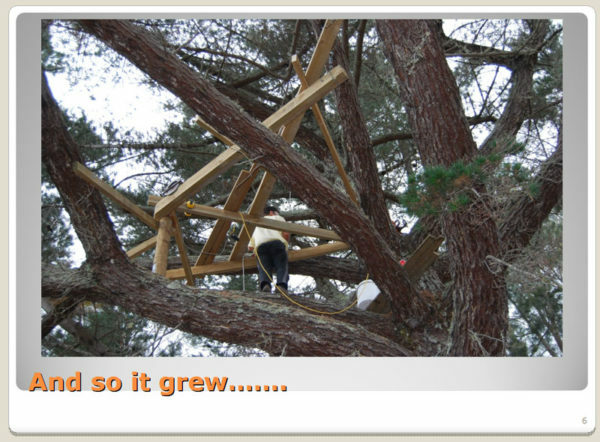 The platform is partly suspended from cables to allow it to flex safely when branches move, and to avoid damaging the tree. 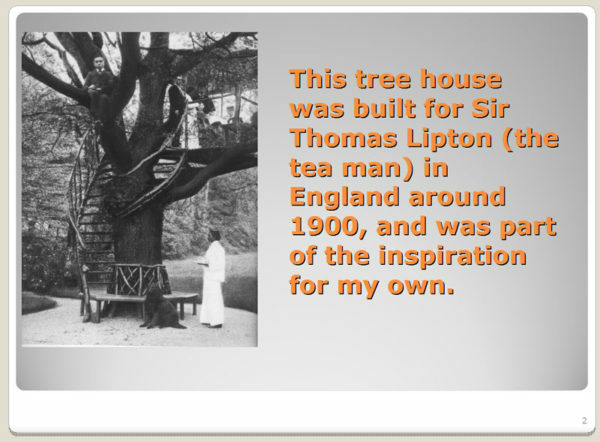 Further inspiration came from a beautiful book, Treehouses, by Paula Henderson and Adam Mornement, published by Frances Lincoln The photograph of Sir Thomas Lipton’s treehouse (c.1900) in the introduction of the slideshow is from a Private Collection. 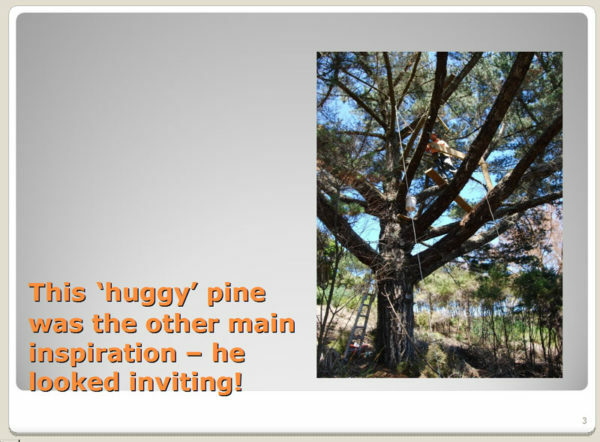 This is a special, quiet place, if you have enjoyed it, please leave a comment on the CONTACT page – I would love to hear from you.